Rebecca Ellen Williams Smith, of Vestavia Hills, AL, passed away on August 23, 2018, to be with her husband, Jimmie Lee “Jim” Smith. Ellen was born on November 19, 1931, and was raised in Marshville, North Carolina. She graduated from Marshville High School in 1950 and married Jim Smith a few weeks later. She worked for Cannon Mills in Kannapolis, North Carolina, while Jim served his country during the Korean War and then to support them while he attended Davidson College in Davidson, North Carolina. He graduated in 1957 and they began a career journey with Southern Bell Telephone Company that lasted 37 years until his retirement in 1993. She supported him throughout his career. She later worked for Rich’s Department Store in Birmingham from it’s opening in 1974 until 1984, when she retired to keep her grandchildren. She often said that keeping her grandchildren were the happiest years of her life. 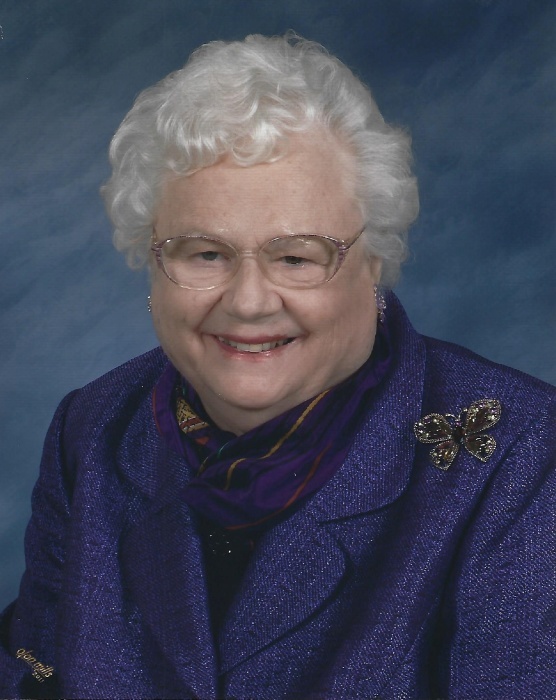 Ellen was a member of Vestavia Hills Baptist Church for 43 years, and served in many areas of the church. Ellen diligently believed in serving God and others, and did so with all age groups and people in the church and everywhere she lived and worked. It was the way she lived- all day, every day. She loved reaching out to all who knew her and was extremely generous with her love and support. She will be greatly missed. Ellen also was a member of the General Sumter chapter of the Daughters of the American Revolution and a leader in the Girl Scouts of America while her daughters were young. Ellen and Jim were members of the Shirts and Skirts Square Dance Club in Birmingham for 30 years. She was preceded in death by her parents, Bundy and Ethel Webb Williams; and by her brothers, George Williams, Joe Williams, Kenneth Williams and Jamie Williams. She is survived by her two daughters, Anita Smith Crisler and her husband, Robert William Crisler and Angela Smith Yoder and her husband, Roger Yoder. Her pride and joy were her four grandchildren, Laura Crisler Gresham, Rebecca Lyn Crisler, Rachel Elizabeth Collins and Luke William Collins; and her great grandson, William Albert Gresham III; and by two sisters, Maureen Cook and Marilyn Bost. A Memorial Service will be held at Vestavia Hills Baptist Church on Sunday, August 26 at 2:00. The family will receive family and friends one hour prior to the service, and at a dessert reception following the service. Ellen will be laid to rest on Tuesday, August 28 at 11:00 at Fairfield Baptist Church in Marshville, NC. The family will receive family and friends an hour prior to the service. Ellen grew up in this small community church and loved it very much. It held special memories for her because her grandfather and father were instrumental in helping to establish the church. In lieu of flowers, please make donations to Vestavia Hills Baptist Church, 2600 Vestavia Dr., Vestavia Hills, AL 35216.